This gorgeously crafted all brass abney level features a 7" long with a brilliant polished finish, square sighting tube, and working degree arc. Both beautiful and functional, this brass abney level is both a fantastic collector's piece, as well as a useful nautical tool. This compact brass abney level makes a great addition to any desk, table, or shelf, and is the perfect gift for any nautical or cartographic enthusiast. The Abney Level is a topographical tool which has been used over the last 100 years as a handy and accurate measurement device. Used for the creation of topographical maps and surveying terrain, the abney level is an important part of nautical and cartographic history. 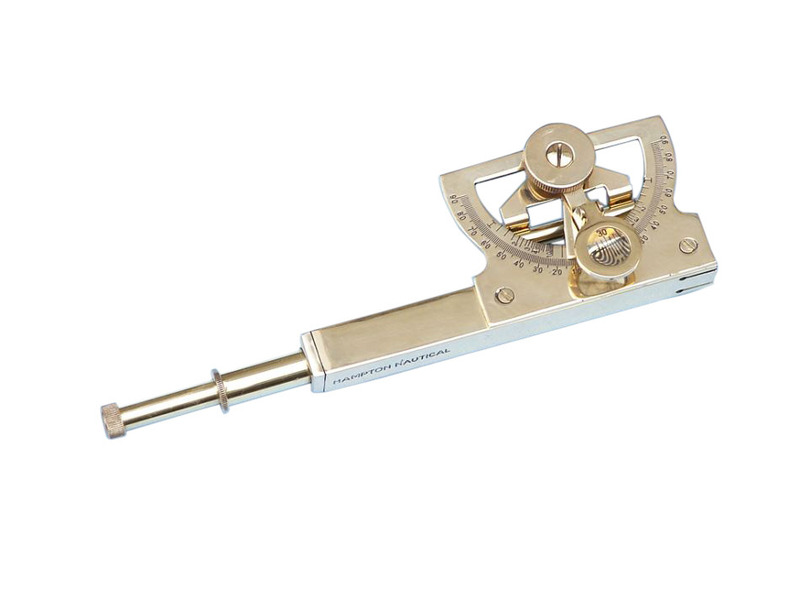 Like our marine sextants for sale the solid brass Abney level is a useful tool for surveying. Designed by William de Wiveleslie Abney in the 1870s while he was working for the English School of Military Engineering at Chatham, the level is not used for precision measurements, but more for estimates. As the navigational sextant used line of sight and arc measurements in degrees, so does the Abney level, though a much simpler device. Primarily used on land rather than at sea, like the marine sextant, the Abney level works on the same principle. The user levels the instrument with the bubble, ensuring accuracy, then looks through the telescope and moves the arc to compare target points with the reference point. Using trigonometry, as you would with one of the marine sextants for sale, distances, heights, and angles can be computed. 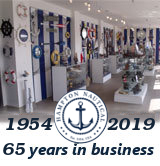 Though not a true nautical instrument like our marine sextants for sale, the Abney level in nonetheless an important device in military and civilian use.